This is a good read, even if you do not agree to the implementation of the GST. I found this in Astro Awani and as a supporter to the implementation of such wider tax base in Malaysia I decided to post this in my blog. Authored by Datuk Seri Idris Jala. There are many more myths than facts about the goods and services tax or GST which the government plans to introduce not long from now. I will attempt to dispel some of the myths associated with this tax and put the GST in perspective. The first thing to remember is that the GST is only one of measures that the government will be taking to overhaul the financial system of the country to find new sources of revenue and improve the efficiency of tax collection. Other measures are being undertaken to reduce corruption, to reduce waste and create highly transparent procurement processes among others. GST is part of a holistic programme of improvement for the government which will be combined with these other measures to help us on our way to achieve high income and developed status in a sustainable and inclusive manner. That target is getting per capita income up to US$15,000 by 2020. Our current tax base is way too narrow – we depend too much on income tax, both individual and corporate. Out of some 29 million in people in Malaysia, only less than two million people pay income tax. We cannot afford to go back to these same people and corporations and ask them for more and more tax – we can only hope that as their income increases, they will pay more tax. In fact, if we don’t widen the tax base, there is absolutely no room to cut income taxes further. For various reasons, including the fact that much income goes unreported, we need to broaden the tax base. A value-added tax such as GST, where a tax is paid on every step in the value-added process is a consumption tax and therefore taxes those who can afford to spend. If you are making money but don’t pay tax for various reasons, you still want to spend on the things that you want to have and to use. And when you consume, the government can capture a part of that as income for itself through the GST. 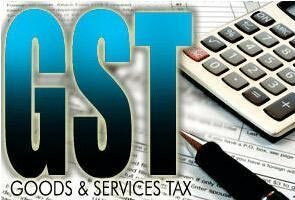 If you are concerned about being adversely impacted by the GST, it is important to remember that when GST is implemented we can zero-rate or set the tax rate at zero for any number of essential goods and this is what the government intends to do to ensure that citizens do not get burdened by taxes on essential items. Also there is currently the sales tax as well as the service tax now of 6-10% which will be repealed once the GST is introduced. In the first few years at least, we expect that the GST will be revenue neutral for the government because gains will be offset due to the termination of the sales and service taxes. But further out, the GST will help the government gain extra revenue. This will be because we expect more and more people to become affluent as measures to increase income bite and become reality. As consumption and affluence increases, government income from GST will increase in tandem. What’s in it for citizens? First, because essential goods and services that will be consumed such as food, public transport and education are likely to be zero-rated, consumers will not be paying extra taxes here. Second, as government revenue increases, it has more money to provide for social safety net programmes such as BR1M, the 1Malaysia cash assistance programme for lower middle and low-income groups. But contrary to popular belief, GST implementation is like to be only sometime in 2015 if it is announced at the forthcoming Budget because you need a lead time of 12 to 18 months to prepare for the value-added tax. Imagine say manufacturing a consumer product such as a bottled drink and that you are the manufacturer. You will have to buy all your inputs such as sugar, flavour, bottles and so on from suppliers. These suppliers will include a GST in their sales to you. When you sell your bottled drink, you will have to add on a tax to your product which represents the GST. But you are entitled to claim a rebate on the tax to the value that you did not add, in other words the tax your suppliers added on. To do that you have to keep proper and complete records. The government will be helping businesses, and especially small businesses to set up the record-keeping system for this so that there is a smooth transition to the value-added tax system without any major hiccups. This record-keeping produces other attendant benefits as well. For instance, studies have shown that Malaysia has large capital outflows which can’t be reconciled in the national accounts. As much as 80% of this is said to be from transfer pricing where firms transfer costs to various centres around the world to minimise the tax. Once a GST is implemented it makes it very much more difficult to do so because complete records are kept at every stage of the value-adding process. There are records of who sells to you and at what price and the same for yourself, all along the chain. It is just a matter of going down the chain to see if you are playing around with your figures. Not just capital outflows but all manner of other things can be tracked down too. It becomes easier for Customs to determine who is avoiding duties and for the Inland Revenue Department to check to see who is evading taxes. By introducing GST, the entire record-keeping process becomes much more rigorous and will definitely contribute to much better and more efficient collection of all taxes and duties in future. Most countries in the world already have a value-added tax. Most countries in Asean already have it too. And even oil-producing countries have it. The appeal is that it is a broad-based tax which taxes based on amount of consumption. Because it is the more well-to-do and the wealthy who will consume more, the GST automatically taxes them most, not the lower income group. Whichever way one looks at it, the GST is a progressive move to overhaul the tax system of the country. It is an imperative – but not the only one – of a developing and developed economy which will provide sustainable revenue to the government for it to plough back to needed sectors within the economy. my first encounter with GST was in Singapore a long time ago. I was listening to Trax FM interview this morning and according to the interviewed guest, prices of essential goods which are zero-rated (such as rice, cooking oil, sugar, etc) should actually become cheaper when the GST is implemented. With GST in place, the SST (sales & services tax) would be removed.